Say anything with this array of treats – thanks, congrats or just a simple hello. 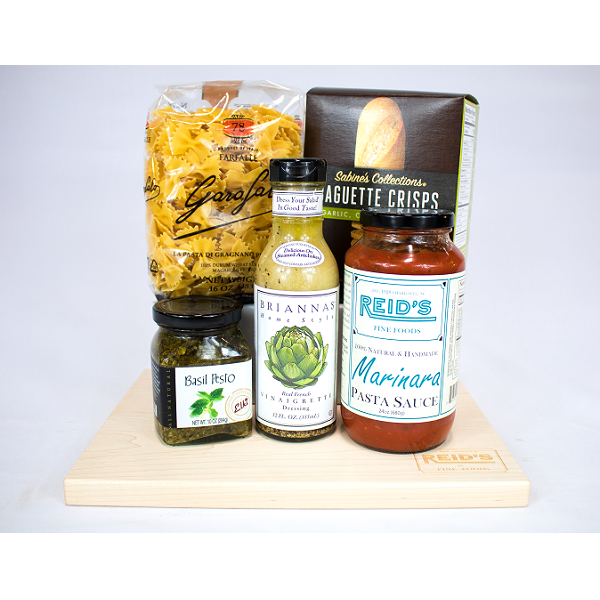 Reid's All Occasion Basket is a great gift for any occasion. 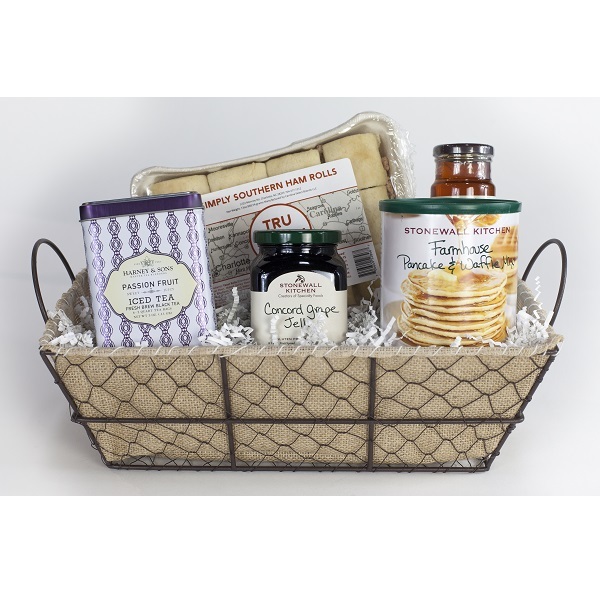 A gourmet gift basket full of delicious treats for a large crowd. Includes: Reid's 5 O'clock Crunch, Reid's Chocolate Covered Pecans, Rustic Bakery Crackers, Reid's Cheese Straws (Classic & Hot), Basil Pesto, Reid's Chocolate Chip Cookies, Mandy's Simply Sugar Cookies, Bella Maria Almonds, Mustard Pretzels and Goodness Gracie Toffee.